We hand make all of our Fresh Christmas Wreaths out of the finest quality Fraser Fir boughs available. The end result is a beautiful fresh Christmas Wreath that will last much longer than traditional wreaths. We have two different styles of wreaths available. 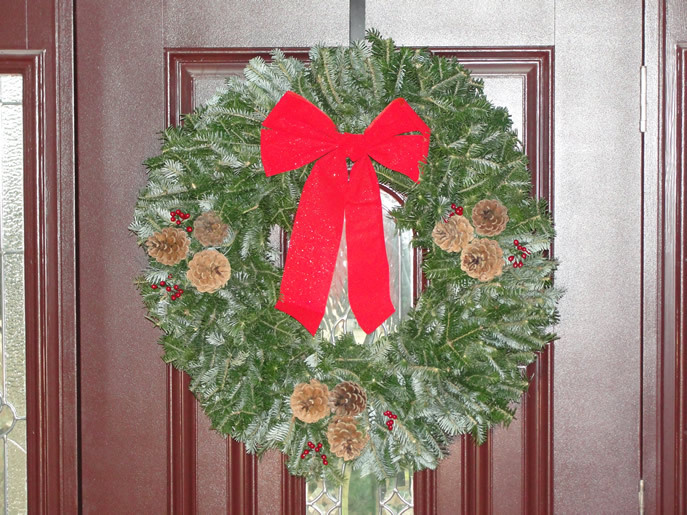 Our Fraser Fir Wreaths are so well made they look beautiful even without decorations. 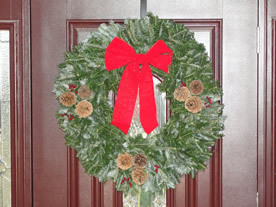 Our decorated wreaths are elegantly decorated with pine cones, holly berries, and a ribbon. All wreaths are made fresh prior to shipping. This ensures your wreath will last long past the holiday season. 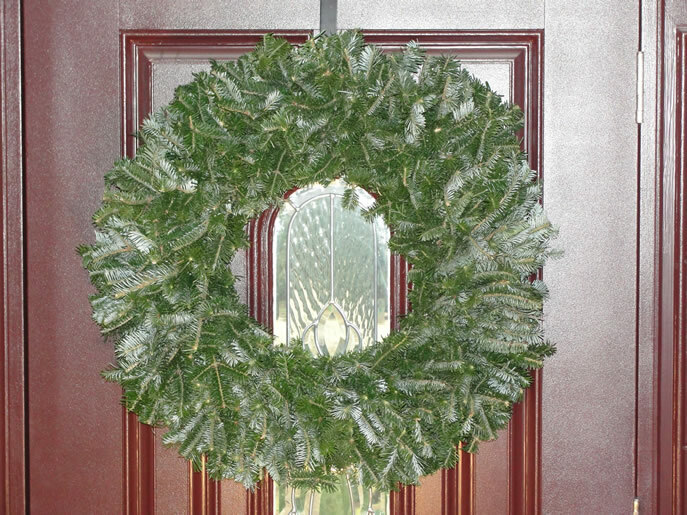 We guarantee you won't find a more beautiful Fresh Fraser Fir Wreath anywhere. 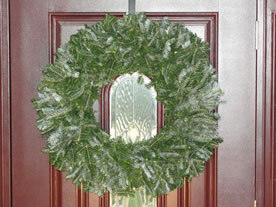 All of our Fraser Fir Wreaths are made with a 14" wreath ring. They are extremely full and measure 22" - 24" in diameter when completed. They are made with such thick boughs that they are up to 5" thick! Get Started Today with No-Money-Down! Click here to request our free welcome kit! We provide you with the most automated and hassle free fundraising program available. We guarantee you will not find a better Christmas Tree Fundraising Program anywhere!